Are you an enthusiastic individual who cares about Birmingham? Are you interested in environmental issues? Are you someone who enjoys speaking to members of the public? Then Birmingham Friends of the Earth have an opportunity for you! 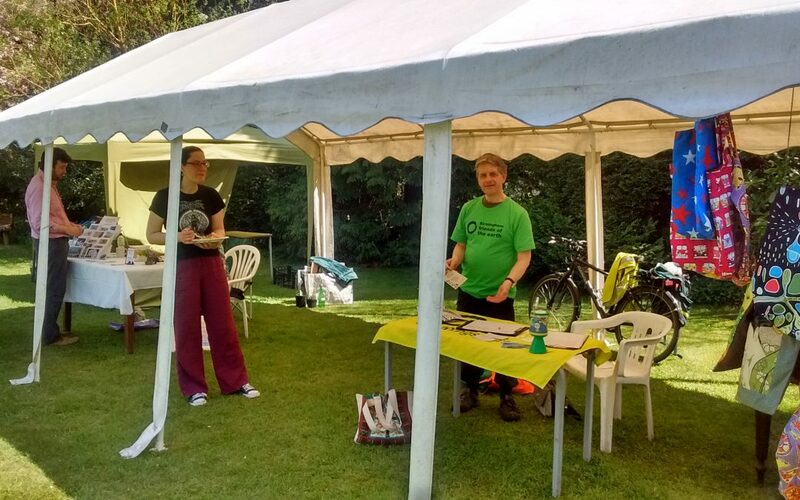 Birmingham Friends of the Earth (BFoE) are looking for confident, outgoing, and enthusiastic individuals to help us build support for our campaigns. By volunteering with us you will help build important public support for all our campaigns. This will involve talking to members of the public in a variety of settings, from networking events and street campaigning, to family fairs and festivals. Campaigning on stalls at certain events may also involve fancy dress. Your campaigning will be vital in helping make to spread our message and get people involved in the work we do. You would be based at our office, but will mostly be volunteering outdoors in Birmingham. Ideally you would be able to travel regularly to our office in Digbeth and around Birmingham, and be somebody who can commit to at least one day a week’s volunteering. A chance to develop your existing skills. Experience of working in different environments. The chance to meet new people and develop contacts. An insight into working in the campaigning sector. The knowledge that you are contributing to a worthwhile campaign to make Birmingham a more sustainable city. Valuable experience on for your CV. Looking for and booking opportunities for stalls around the city. Staffing and representing BFoE at those stalls. Talking to members of the public about BFoE and our campaigns, gettting them to sign in support. Representing BFoE at networking events. Attending and staffing stalls at festivals and fairs in Birmingham. Experience of talking to the public. Excellent verbal communication skills with the ability to speak to different audiences, and engage them to take action. The ability to communicate complex ideas simply & succinctly. I would love to help on a stall on one of your campiagns.